HomeFinanceContext Matters. The Stock Market Drop Is Less Scary Than It Seems. February 6, 2018 Paul Finance Comments Off on Context Matters. The Stock Market Drop Is Less Scary Than It Seems. If measured by news headlines, you might assume these are dire times in the financial markets. There is a “market meltdown” in the United States and “ugly, ugly scenes” in the European exchanges. Evidence of higher wages was “whacking” global markets last week, while higher bond yields threatened to “topple” a multiyear rally. 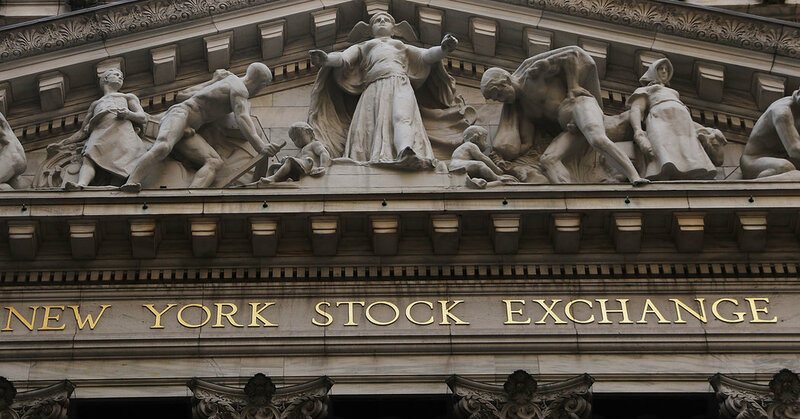 On Friday, the Dow Jones industrial average fell by 666 points, as if scripted by a devilish hack, which was followed by an even steeper decline Monday, amid erratic trading. But some common cognitive errors are making this sell-off seem more dramatic than it is. And the reasons behind it may be more benign than it seems at first glance. Media coverage frequently emphasizes moves in the Dow Jones industrial average. But you probably developed your intuition for how to interpret those numbers at a time when the index was much lower. The Dow fell by 1,175 points Monday, which represents a quite large 4.6 percent decline. But while it was the biggest single-day point decline, there were steeper percentage declines on several occasions during the global financial crisis and its aftermath, not to mention the 508- point drop in the Dow in 1987 that represented a 22.6 percent market crash. At a minimum, update your mental calculus of what constitutes a “big” market swing. Even better, focus on percent changes rather than point swings in an arbitrarily constructed index. But our perceptions are distorted by more than thinking of points rather than percentages. The last 18 months have been one of the least volatile periods for the stock market in modern times. Humans have a bias toward recency, an inclination to let recent experience shape our expectations for the future. There’s no doubt that the 7.8 percent drop since Jan. 26 is substantial; it represents nearly $2 trillion of paper wealth. But you find some better news underneath that unpleasant fact when you look at what has happened in the bond market while stocks have been falling. Frequently when investors become more pessimistic about the economy, stocks fall and the yield on bonds falls as well. That pattern happens because a weaker economy implies not just lower corporate profits (hence the falling stock indexes) but lower inflation and continued low interest rates from the Federal Reserve (which implies bonds are more valuable and their yield should fall). But that hasn’t been the pattern in this downturn. During the stock market swoon on Friday, the yield on 10-year Treasury bonds rose sharply. Bond market measures of future inflation rose. Even after that trend reversed during the Monday sell-off, interest rates are still higher after this drop in markets (2.7 percent at Monday’s close) than they were before (2.66 percent on Jan. 26). Instead of reflecting economic pessimism, this stock market sell-off seems rooted in a form of optimism — that employers will have to pay higher wages, cutting into profits, and that higher inflation will cause the Fed to raise rates faster than had been assumed. Throw in some worry that markets were getting a little overheated and you have a recipe for the downturn we’ve just witnessed. In other words, this bad news for stock investors seems to be driven in part by good news for workers. And since most people earn more money from their jobs than from their investment portfolios, that’s a trade a lot of people would be happy to take. This downward swing in markets may be the kind of occasional stumble that every bull market experiences, or could be the beginning of the end of a market rally that has been going on for an awful long time. But regardless of which it becomes, it’s good for everyone’s mental health to look beyond the day’s headlines and focus instead on percentage changes instead of point changes — and on historical patterns and the “why” behind the day’s drop in the markets. Crossing Divides: Can Chinese Americans solve differences over dinner? April 28, 2018 Comments Off on Crossing Divides: Can Chinese Americans solve differences over dinner?